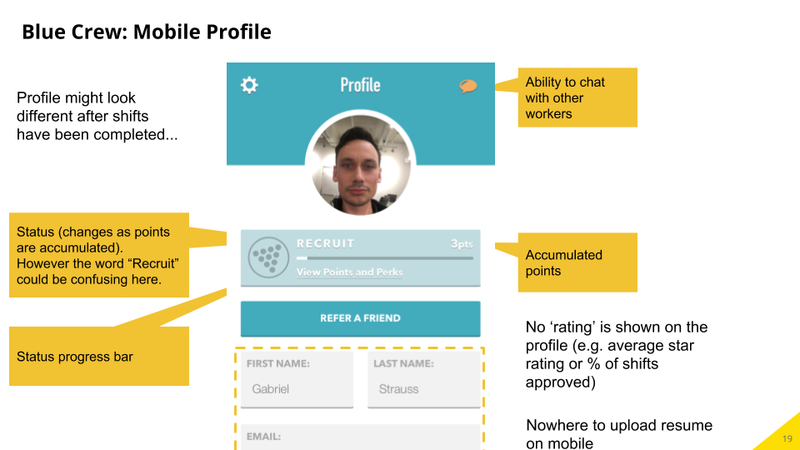 Wonolo, an on-demand staffing platform, provides a two-sided marketplace for employers and workers to match with one another. 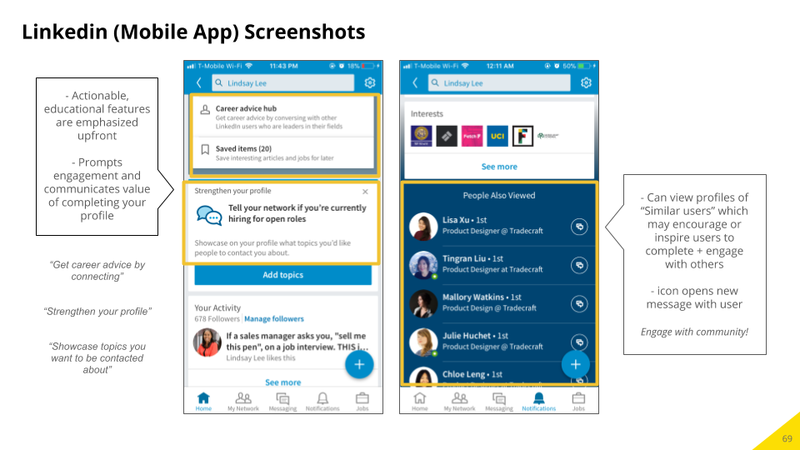 I led a team of 11 designers in improving their existing mobile and web applications to provide an enhanced user experience. 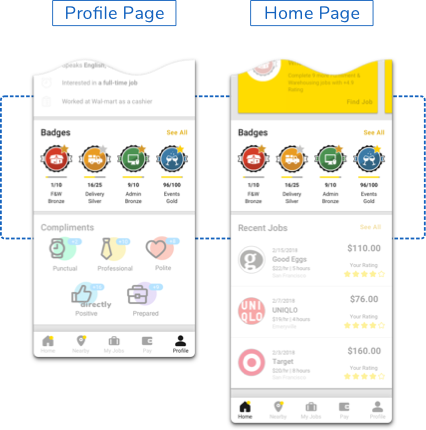 We placed an emphasis on redesigning their user profile page; it is a vital component of the company's new business strategy, as well as developing new features for the product to better user engagement. I took a close at what the company wanted to achieve. 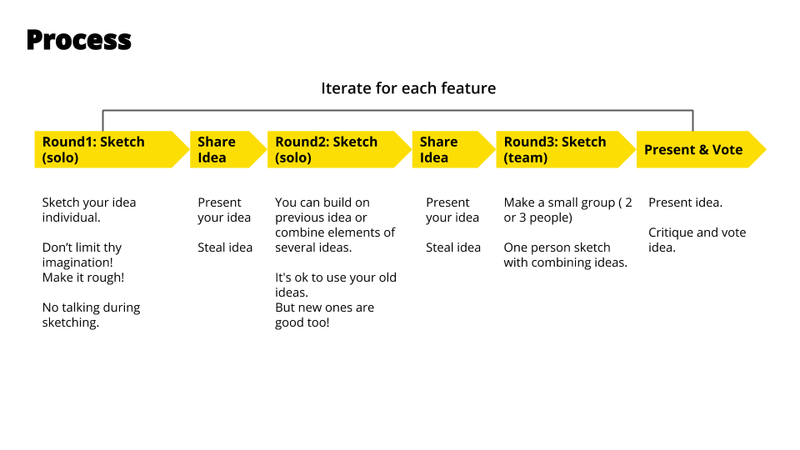 Then we designed a research outline and a user interview questionnaire. We let the findings from the two inform us which areas to place our design efforts. • Users are confused and concerned about who can view their profiles. 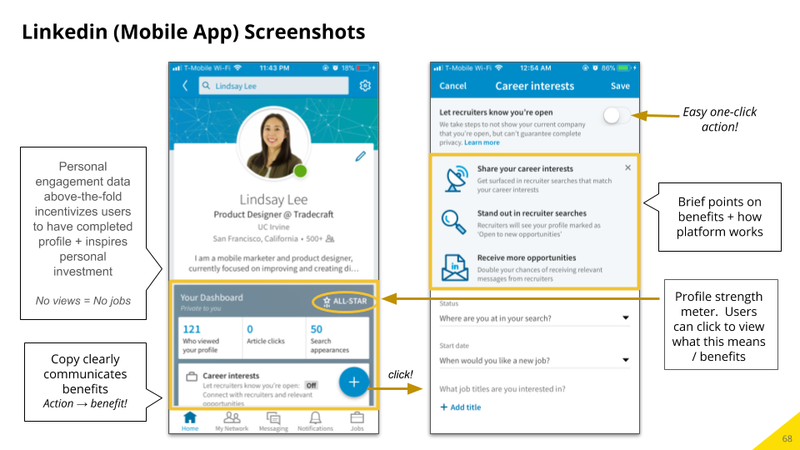 • Users wanted to know what their profile pages look like to potential employers. The current interface isn't doing a good enough job in communicating clearly how user privacy is regarded, and didn't give users the option to see how their profiles are shown. Due to these ambiguities around the issue of privacy, users do not feel secure and are reluctant to input more personal information than necessary in completing their profile. 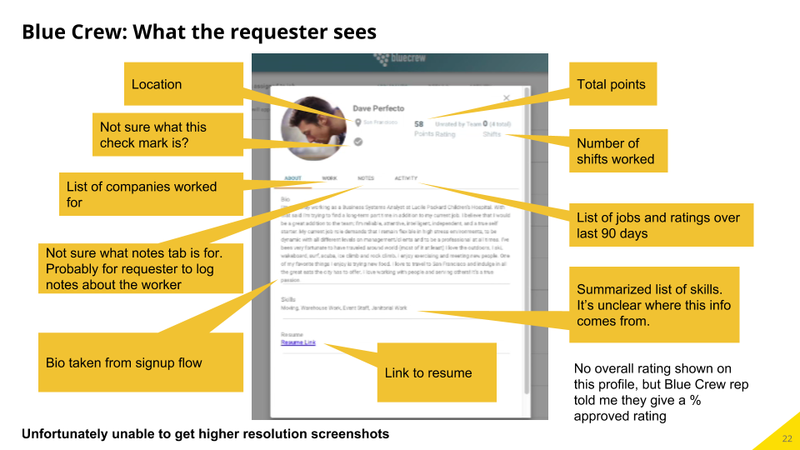 • Most users don't use other features besides looking for work. • Users were unclear about the functionality of many features. • Most users ignore the home screen entirely. • The general design of the UI could do a better job in communicating the usefulness of its features. • The navigation could be structured more intuitively. • The home screen isn't providing anything useful/engaging for the users. • A good portion of users don't understand how to earn badges or what are the rewards. • A number of newer users didn't even know there are badges at all. 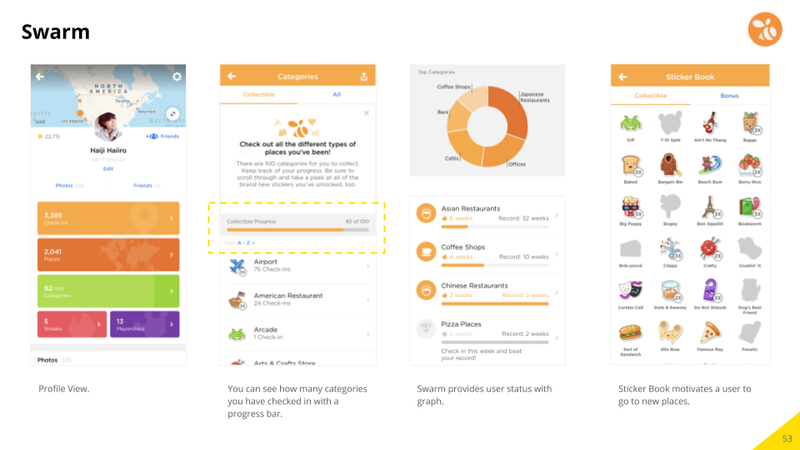 • The app isn't doing a good job in familiarizing the users with its reward system. 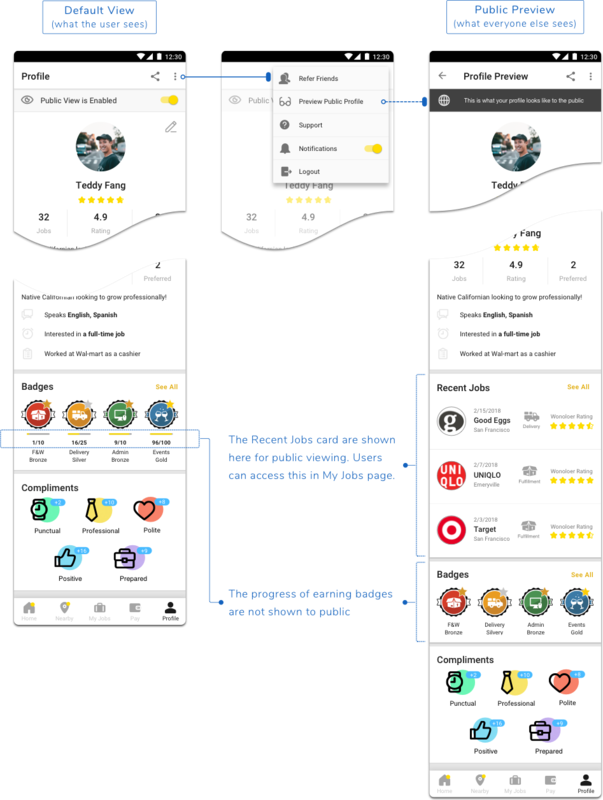 • The badges should be integrated with more visibility into the user flow. 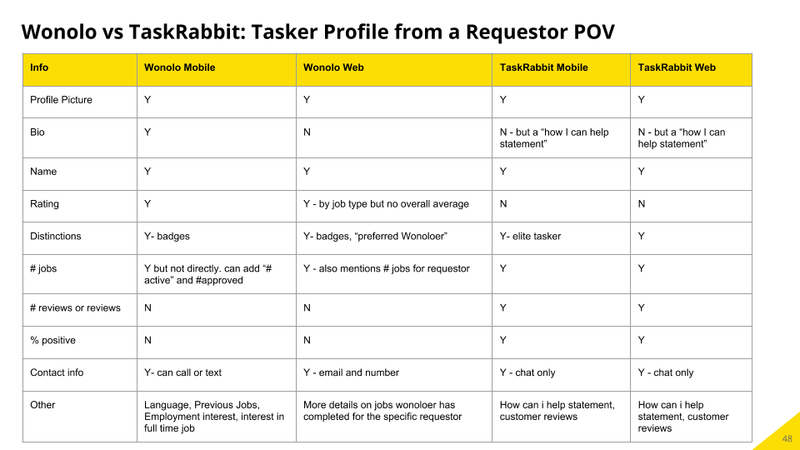 Wonolo intends to use badges for user retention and increase job fill-rate. But a reward system would have no effect if it weren't communicated. 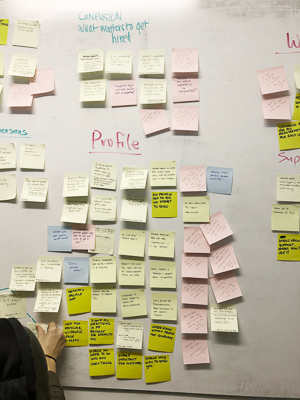 Poor visual communication is the common thread in most issues uncovered in user research. 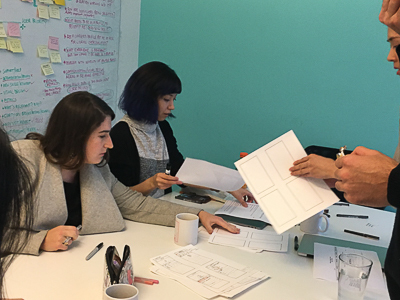 In the design process going forward, we put forth the effort to create clearer communication. After we identified the key focuses, My co-lead, Namika Hamasaki, and I hypothesized solutions for these problem. 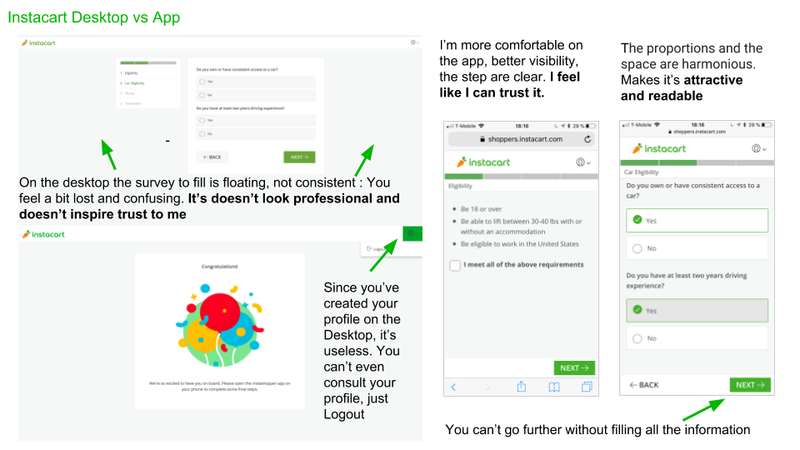 When we give users more control over their profile page, we also give them peace of mind. We believe that they would be more inclined to flesh out their Wonolo profile. When the toggle is in off-state, a user's profile page would not be seen by people other than themselves. The profile would excluded in search results. This feature allows the user to see how their profile page appear to other people. 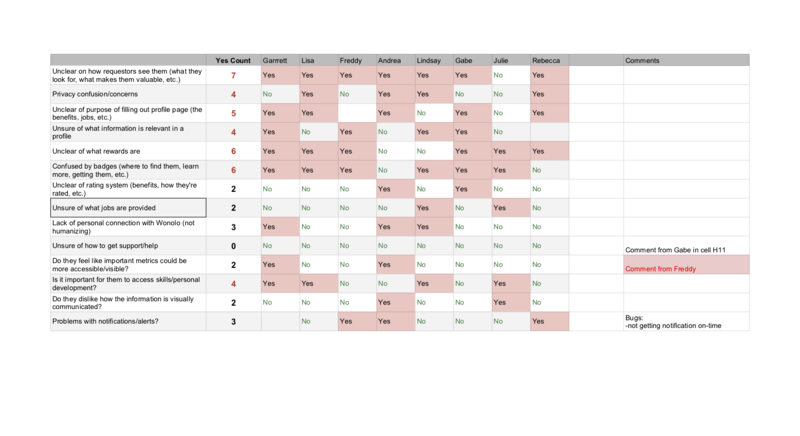 The user interviews revealed that 7 out of 8 users do not use the current home screen. 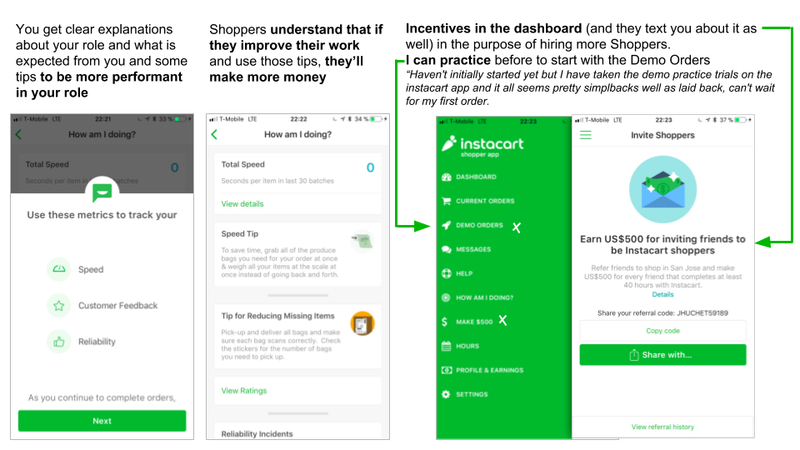 In their interactions with the product, they skip the home screen entirely to go to another item in the navigation menu. We feel this is a huge missed opportunity. 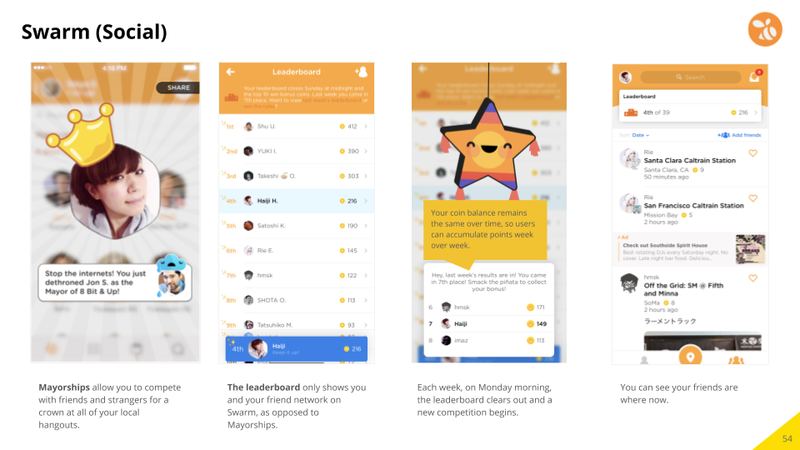 In the spirit of raising engagement with the home page, I came up with this new feature, some calls it, "vanity feature", as part of the gamification process. 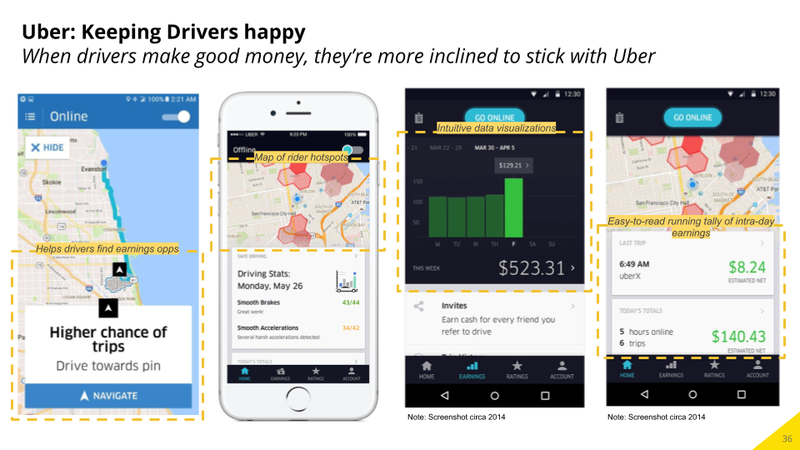 Users would be more aware of their work patterns, and could better manage their time and money. The gratification of seeing their accomplishment will encourage user to engage more with the home page and the platform. 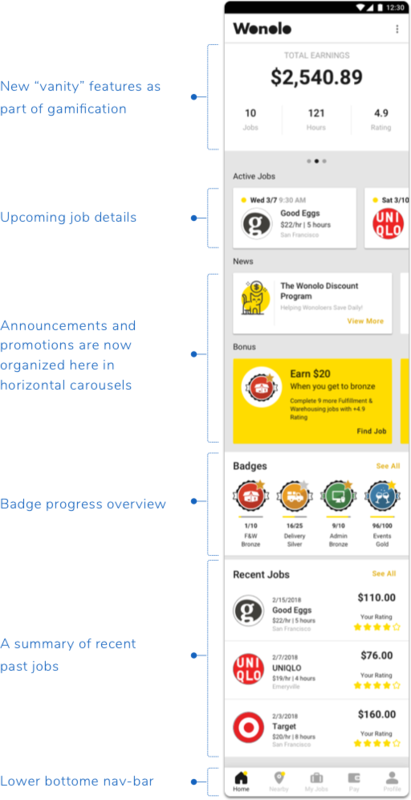 Wonolo Badges is a large and complex system. We don't wish the users to learn everything at once. 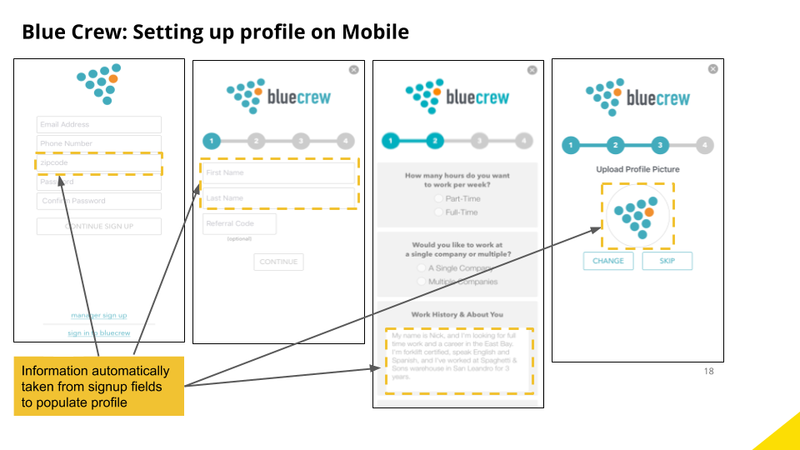 Our plan is to make badges visible in their day-to-day flow, acquaint the users slowly. 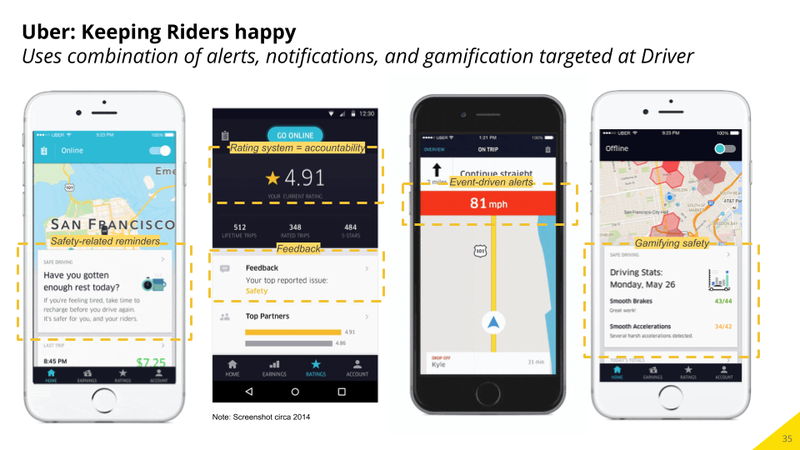 And only prompt users when information and suggested actions would have immediate impact on their experience. 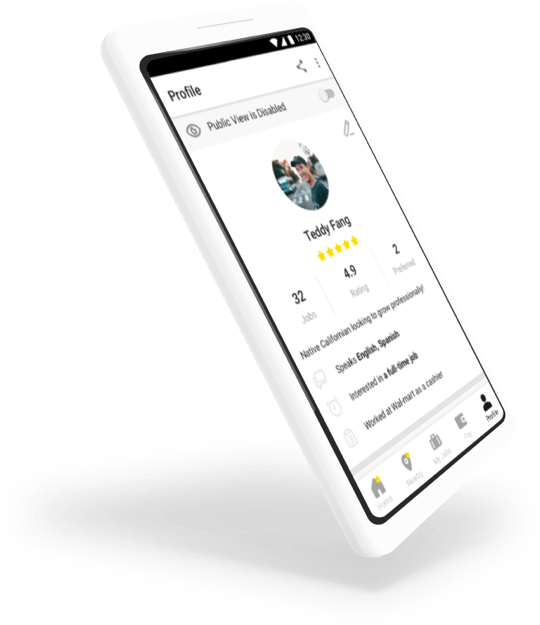 We built a badge card into both the profile page and home page where users would be reminded of their progress in earning badges. 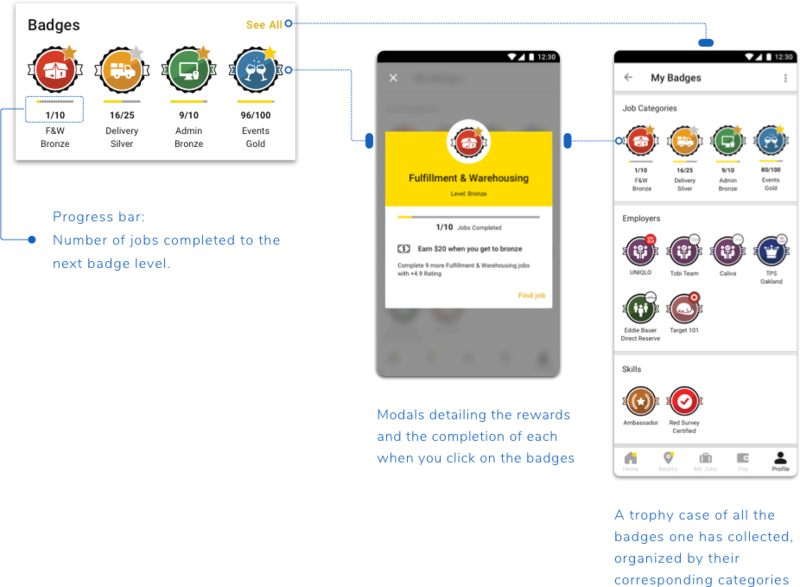 Through the badge card, users can find out more about badges and see the different badges they've collected. 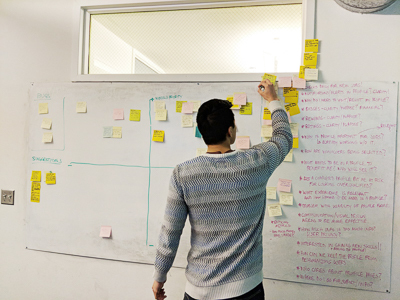 We looked at comparable products from competitors and potential competitors to understand how they are resolving problems we are trying to address. 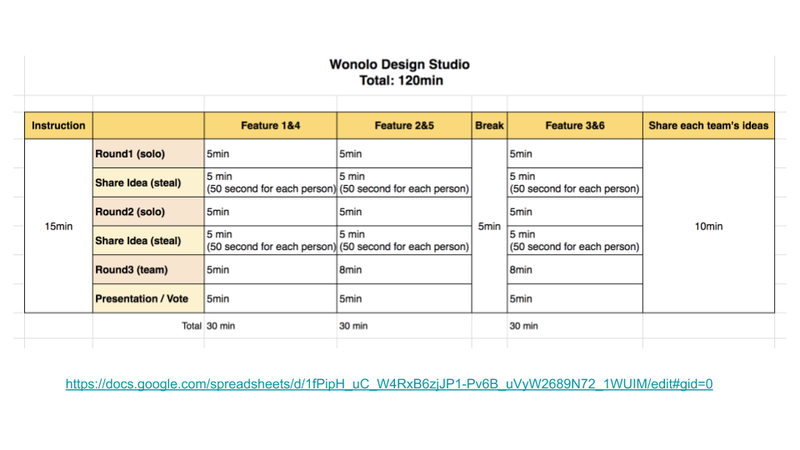 Find out how the users are using the Wonolo app, what are their patterns and tendencies, whether they are experiencing friction when complete certain tasks. 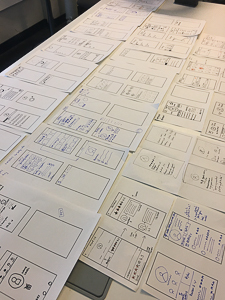 We also "tested" their knowledge on certain features to understand how well the app is communicating its functionalities through its UI. 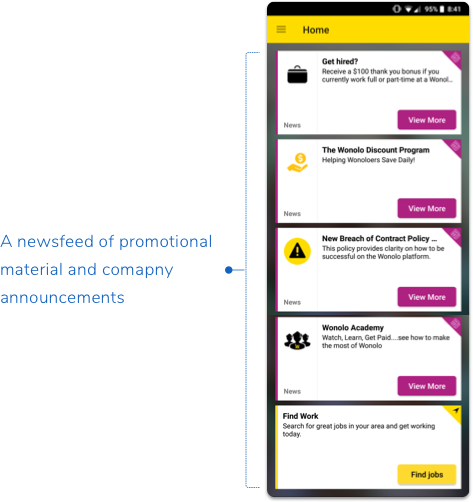 Find out the general sentiment of creating an public profile on the Wonolo network. Whether the users understand how this could benefit them. 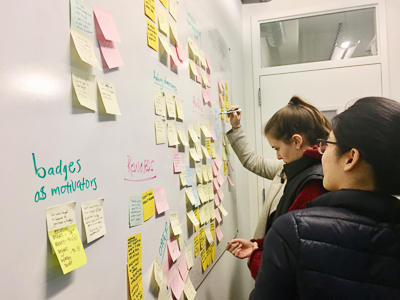 We wanted to see what are motivating the users to continue to use the platform, and what, if any, are motivating them to perform well at jobs. We grouped our findings and used affinity mapping to prioritize data. 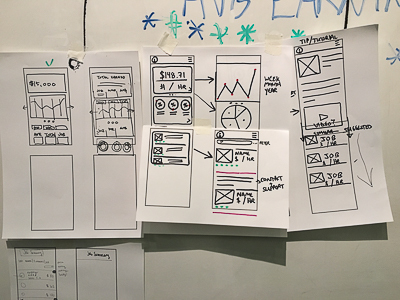 We device a 2-hour design studio, and split the team the teams into two. Each tackling a different page.